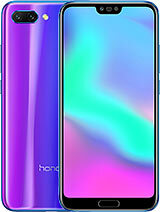 AnonD-705098, 03 Oct 2017should I go for honor 8 or galaxy s7....For Camera i guess samsung win, for Speed both of them but for long lasting speed huawei got smart UI that the speed can last for long and also for quick charge go to Honor 8 it has type C that s7 dont have. Hi, can anyone tell about the gyro sensor virtual reality (VR) experience? Greetings from Malaysia,I've been an Honor 8 user for almost, almost a year now and my phone still rocks...good performance and not too bad battery life? The camera is pretty good though. Only con for this phone is that it doesnt support LTE band 5 (850). 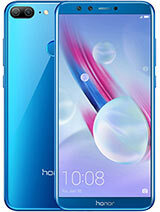 Some are saying honor 8 will get update for Android O 8.0 , is it true ? Talha, 27 Sep 2017What's the +DTS sound? I heard the sound quality in headphones is very bad, plz someone tell meIf you have problem in sound using earphone or headset, why not try to buy high end headphones that is worth atleast 50usd+ with 3driver. sometimes the problem is in your headphone. Talha, 27 Sep 2017From you have bought this model?Hongkong i guess. my friend just gave it to me. GaT7, 04 Sep 2017Honor 8 for sure (only missing a FM radio), otherwise better in the following areas: + InfraR... moreWhat is +DTS sound? ShadowJaiz, 26 Sep 2017I think the Connection is Different in Every Country, here in my country i reach 30+mpbs with ... moreFrom you have bought this model? 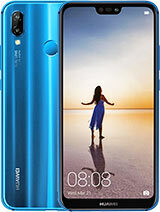 I bought a Huawei Honor 8 (FRD-L14) on August 5th, and found its GPS not working properly (showing different route, GPS moves different route when the vehicle moves, and not re-routing etc) on around 23rd. Did a factory reset and tried with different maps...but was with no luck :(. Finally I contacted the customer care on 25th August and they asked me to send the device to them. After 2-3 follow-ups they emailed me the UPS shipping label, I sent the device to them. After 10 -12 days of wait I received the device back saying the issue has been fixed. I configured the phone again and found still the GPS not working. So I contacted the customer care again on the next day itself (Sep 20th) and told them about the issue. The surprising thing was that the issue was not properly recorded against the ticket, and they said we have replaced the speaker and USB charging port. They were not aware of the exact problem (loos like there were few issues too which I didn't noticed). They simply asked me to send the device again to fix the actual issue, and the customer service representative agreed me that they will send the UPS label within next day 6:00 PM. I waited for 3 days but there was no response so today I contacted them again (Sep 25th), it was totally disappointing me that they told nothing is updated on your new ticket, so again I had to explain all the story and they updated the ticket. I asked them for a temporary device to use for the days when my device is on service but they did not agree saying we have no provisions/options to give temporary devices. Also I asked them to replace the device because the one which I received is a faulty one, so I need a non-faulty device. But they are saying that is also not in their hands and the service engineer has to decide it. Their service engineer only replaced two parts without knowing the actual problem. If they replaced those parts means there was some issues with that too. That is the reason I asked for a replacement. It looks like the customer has to listen to them whatever they says even after paying the full amount of the device. Now I am waiting for the new UPS label to send the device to get it repaired(?). I am sure these guys are not going to do a good job...their customer care service is the worrrrrsttttt one ever. 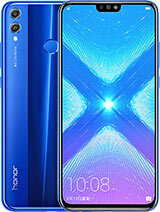 Can anyone tell me the problems associated with the frd-al00 version of the honor 8. Please need a reply asap. Thanks. 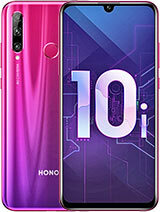 1 - VERY beautiful phone, designed with great attention to details. Couldn't find a 2,5D tempered glass screen protector, but i`ve settled with a classic tempered glass, looks ok-ish. A must have is a bumper or something to protect its back, which is slippery. 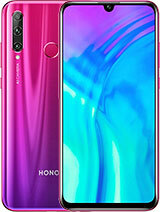 Go for something transparent, for the beauty of this phone. 2 - With normal use (4-5 hours of browsing, Messenger, music, Whatsapp, Netflix Youtube, a few pictures), battery lasts for about 1,5 - 2 days. It charges fully in about 1 - 1,5 hours. The phone is excellent for videos (Youtube or Netflix or whatever), even when using data connection, because it doesn`t overheat. The P8 was so hot that you could cook eggs on it after 2 hrs of videos. The only overheating problems I`ve seen are only when you are using the main camera for pictures or videos. 3 - Speaker is REALLY loud. Louder than P8, for sure. 4 - Calling experience is average. When you`re in a call with somebody, the sound coming from the earpiece lacks bass and lacks high frequencies, so it`s kinda "tinny". Still, you have no problems hearing the people and neither do they. Signal quality is great on both SIMs. You can switch the 4G/3G connection from SIM1 to SIM2 from the phone`s menu. 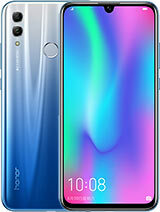 IMPORTANT: there is NO VoLTE on FRD-L09, and Huawei doesn`t seem to care about it and fix it in a later update. 5: Data connection: I have tested it on three different mobile operators. When you`re on a 3G connection, you reach about 7 Mbps download and about 3 Mbps upload. On 4G, the speed increases to 20 Mbps download/upload. No overheating when using data connection. No problems with Wi-Fi connection either, it`s running smooth, no interruptions. 6: Sound in headphones is a disaster. 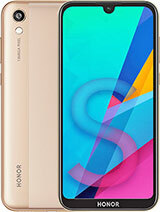 Actually, most Huawei phones are (at best) average when it comes to sound in headphones, but Honor 8 is really silent. If you`re a music lover, don`t buy it. Or root it, then change the sound settings using AlsaMixer or something else and you will be amazed (the sound will be twice louder). 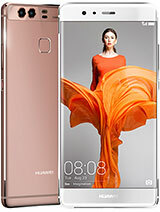 I don`t know why, but Huawei limits the sound volume in headphones to a level which is annoying. Again, I don`t think future updates will solve this problem. 7 - there`s no FM Radio, which is - in my opinion - a stupid decision, since not all of us have 24/24 access to the internet and, in case of a storm, earthquake or any other natural disaster, the FM Radio is the only app that could be helpful for hearing emergency broadcasts or useful information. 8: Cameras - main camera is really good in daylight, with rich details, crisp, colourful. Great bokeh (depth of field). The colours are a little graysh / blueish, but you can edit the pics later, there`s no problem in that. If you want to take night shots, you really need a tripod, or else the pictures taken won`t be satisfying. Huawei P8 was a better performer in night photography than Honor 8. Front camera takes really good shots. 9: Lag - no lag in opening / using apps, really good phone in that aspect. 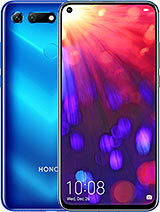 If you are looking at Honor 8 and Huawei P9 and you don`t know what to choose, go for Honor 8. It looks better and the dual camera from P9 is better than the dual camera from Honor 8 only at night photography. Also, the P9 heats faster than Honor 8. Don`t thing it`s worth spending the extra money for P9. 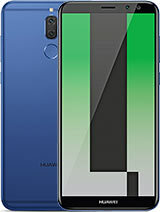 Hopefully Huawei will correct the headphone sound problem and the missing VoLTE feature from Honor 8, to make it a real flaghsip, though. Till then, Honor 8 is just a really good phone for the money. 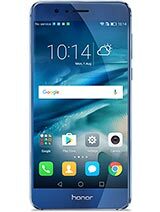 Total of 1944 user reviews and opinions for Honor 8.